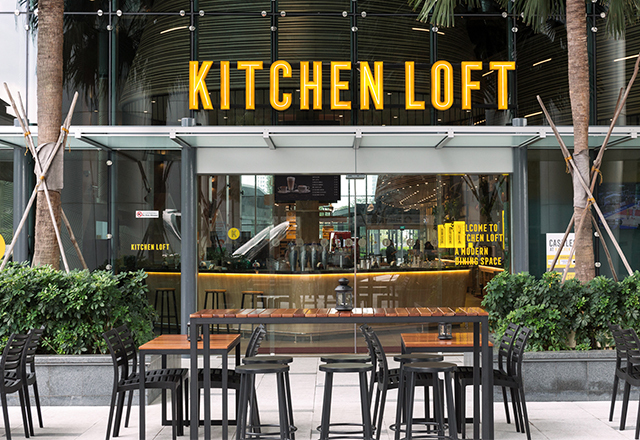 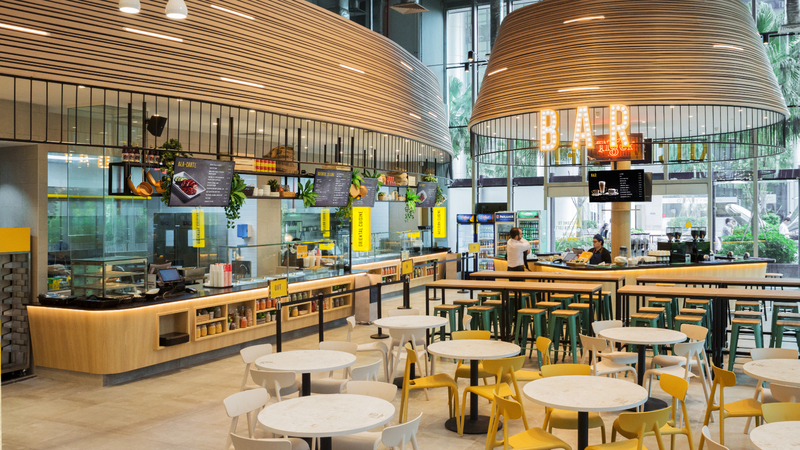 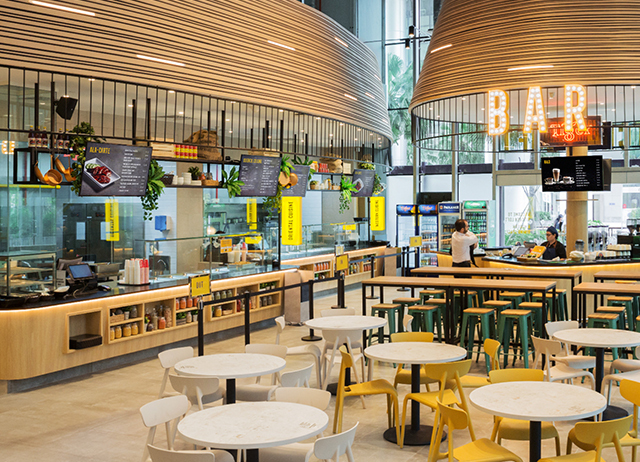 Kitchen Loft is a new dining concept from NTUC Foodfare, a food court set in a modern designed space offering contemporary cuisine and an evening bar. 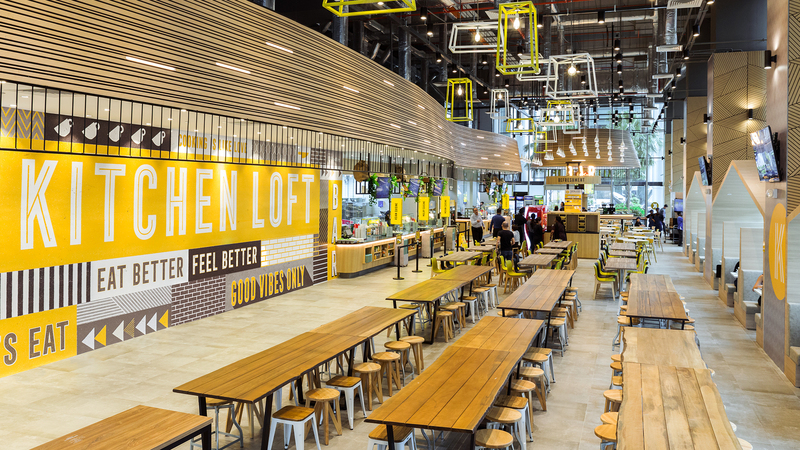 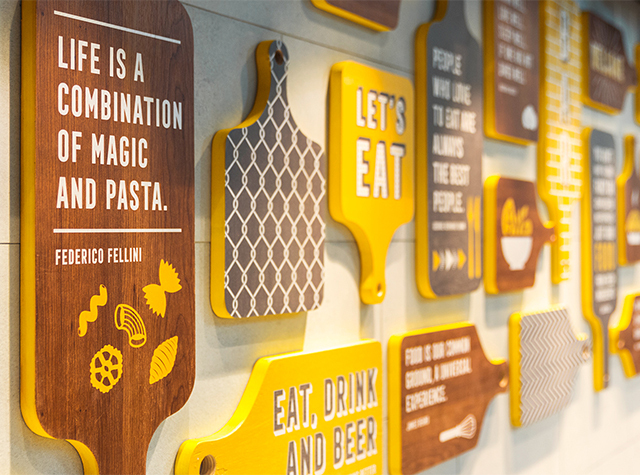 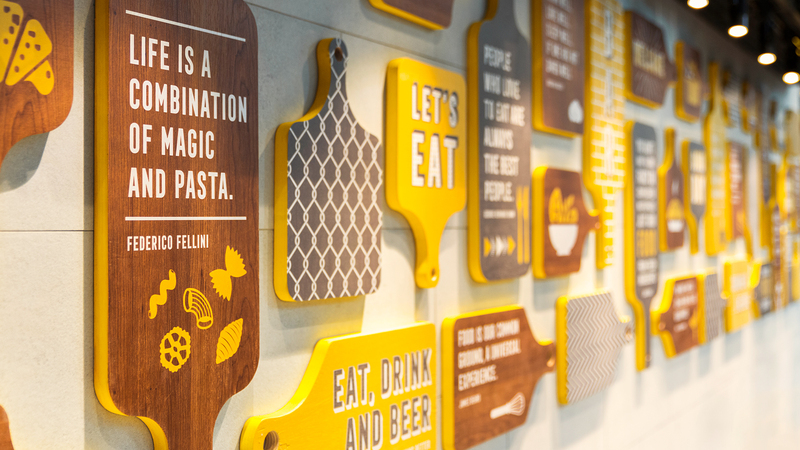 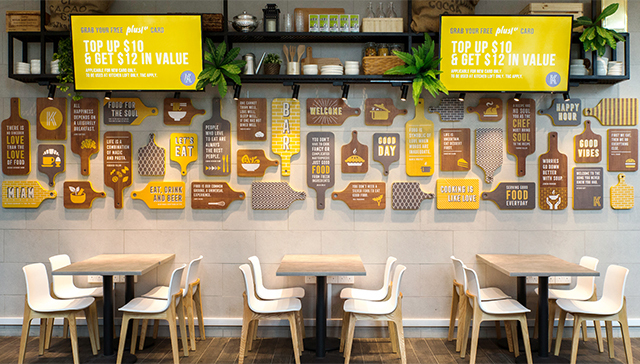 Manic was asked to create a comprehensive range of graphics and visuals for the new brand, including identity design, food styling and photography, environmental graphics (like a 19m long wall mural), wayfinding and visual merchandising. 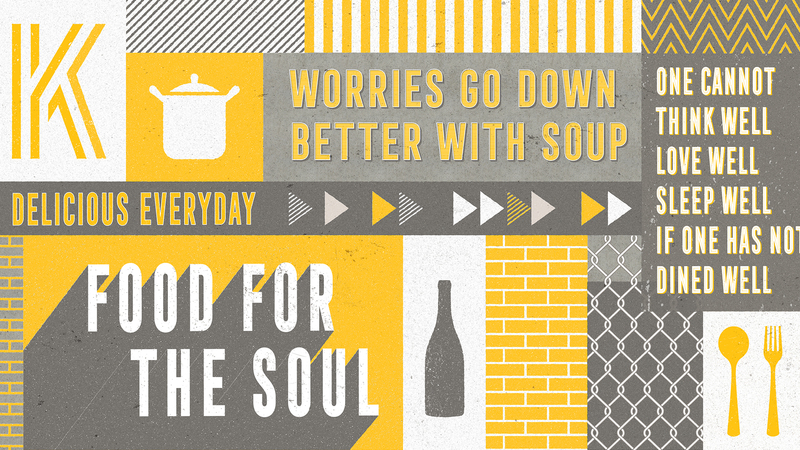 We created a contemporary brand and identity design with a vibrant colour palette. 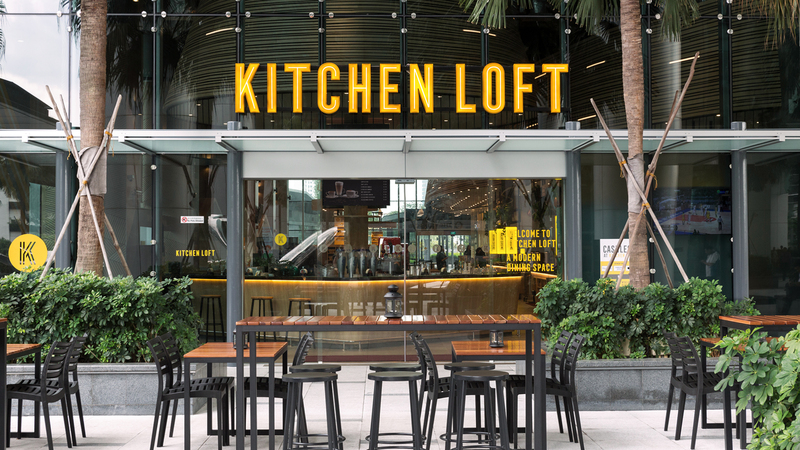 With a large canvas to work with, we created the diner's entire visual experience at Kitchen Loft. 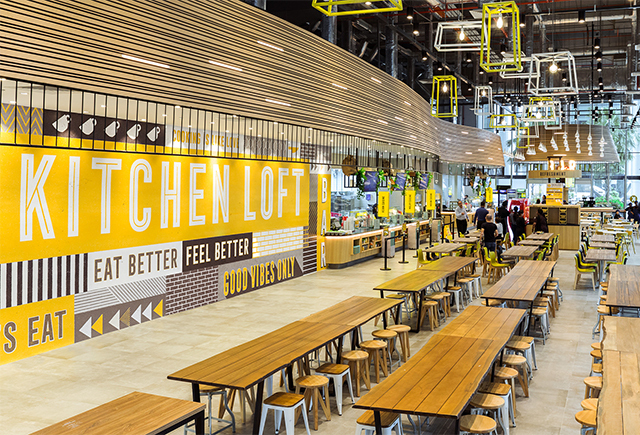 This includes visual merchandising, 3D branding, a huge wall mural, wayfinding and dressing up 9m tall columns.